Pins have literally been everywhere and for as long as we can remember. As children of the 90s we remember when people would put pins or iron on patches onto their back packs. 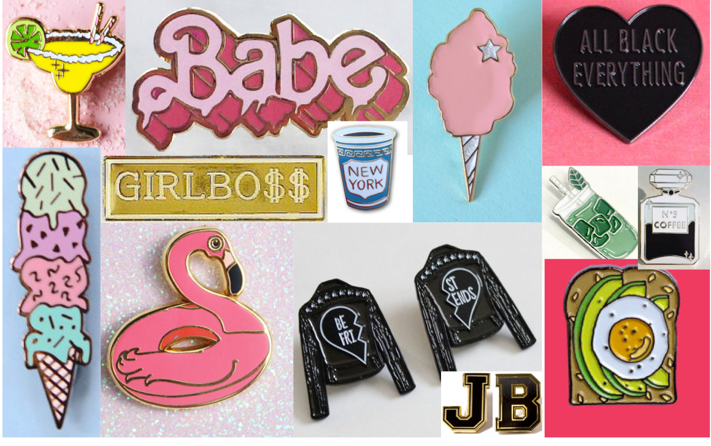 Today from Saint Laurent, to Zara and Forever 21 pins are everywhere and at every price point. I pulled a selection of my favorite pins. Pin onto a leather jacket, denim jacket, your favorite pair of jeans, backpack or hat, for a cute new look. Make sure to tag #Runninginrockstuds in your pictures for a chance to be featured.